It was a joy to teach this course the first two times, and I don’t expect it to be otherwise this time. Since I’m a history professor, not English literature, the course has a strong historical component as we work through a number of Lewis’s key writings. Students learn not only about him and his influence but also the history of his era. Further, I link his writings to the events of his lifetime and also choose some of his essays and letters that show his concerns for government and the direction of society. What do the students read? We begin at the beginning—of Lewis, that is, with his autobiography, Surprised by Joy. 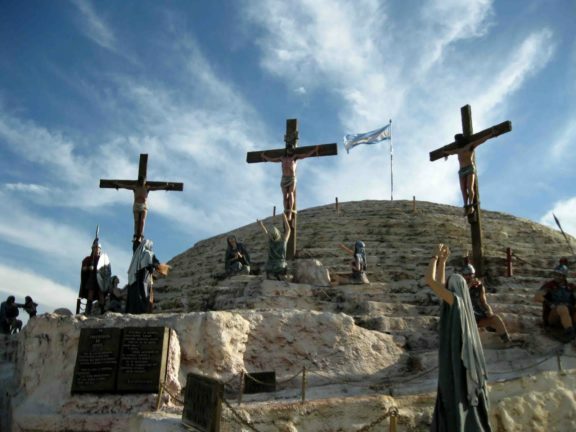 It’s essential that they first discover who he was, his background, early education, dismissal of Christian faith, then his great rediscovery of Scriptural truth. 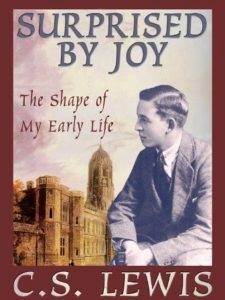 Lewis was surprised by joy; I’m continually surprised by how many students, even those who choose to take this course, know virtually nothing about the man. When I ask what brought them to the course, the most common answer is Narnia. Yet the author of Narnia is mostly unknown. 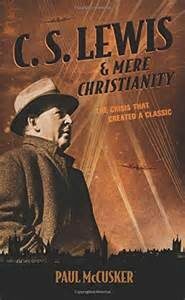 I then turn to Lewis’s Mere Christianity but with a nice historical touch, having them read not only the key chapters from that book but also one that explains where it came from. 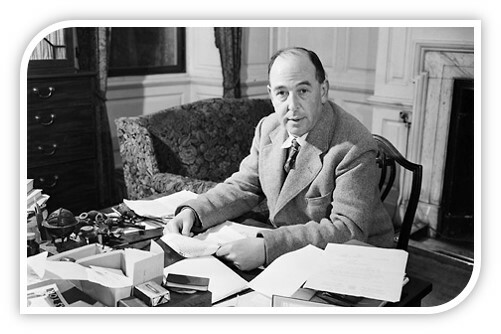 Paul McCusker’s C. S. Lewis and Mere Christianity provides an excellent survey of Britain under duress during WWII and the BBC’s decision to put Lewis on the air to speak to the people. Those broadcast talks, of course, later get reshaped into the classic Mere Christianity. Although it was Lewis’s The Problem of Pain that brought him to the attention of the BBC, it was his next book that launched him into an icon, both in Britain and in America. 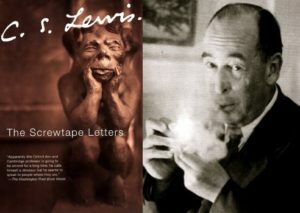 The Screwtape Letters was a phenomenon, so naturally I want my students to delve into that one as well. I recently taught a class at my church on Screwtape that was held every Wednesday evening from January to April. As a result, I’m more adept at explaining the intricacies of this book than before. 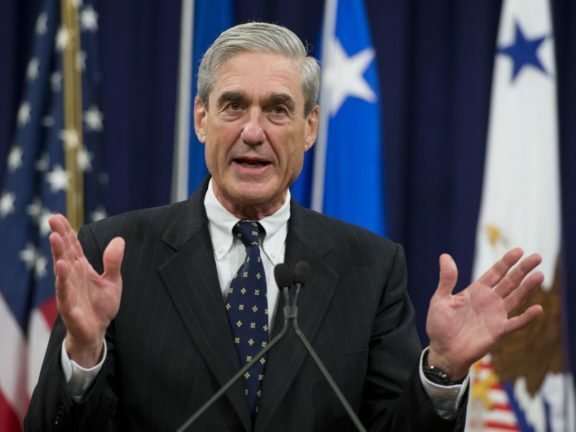 I’ve carved out some extra time to discuss it this time around. Continuing on that fantasy angle, I then have students read The Great Divorce, which I consider a masterpiece. 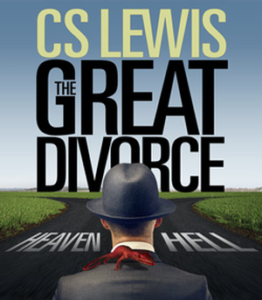 Lewis’s fanciful depiction of a bus trip from hell to heaven and his insights into why people reject God and His truth is superb. This is one of my favorite Lewis books. My connection with it goes back to my college days. I was a radio/tv/film major back then and, as one of my projects in the tv studio, I staged a key conversation from this book. My hope was that it would be a strong Christian testimony to my fellow students. How could I not include it in this course? Both Screwtape and Great Divorce are pleasure reading, in my view. Then comes something more hefty that requires students to think more deeply: The Abolition of Man. Lewis takes aim at those who deny basic truths that are implanted by God in the hearts of all people, and skewers as well those social planners who depend upon scientism (as opposed to real science) to “create” the type of people and society they want. I realize that some of Lewis’s language and thoughts in this book can be challenging for some students, so I also combine our discussion of it with some blog posts I’ve written that explain it more succinctly. My other remedy for making sure they get the point of Abolition is to pair it with the final installment of Lewis’s Ransom/Space trilogy, That Hideous Strength. 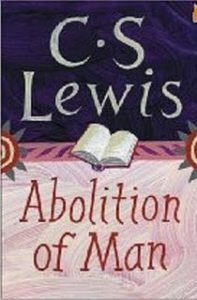 What Lewis expounds in Abolition comes to life, so to speak, in this novel. If students struggle with the former, they then get the opportunity to see what might happen if Lewis’s warnings are not heeded. 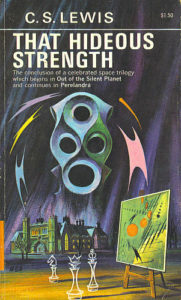 That Hideous Strength depicts a proposed takeover of Britain by a diabolical organization whose philosophy rests upon not only false science but the occult also. Although I love all three of Lewis’s trilogy, this one is my favorite probably because one of my greatest interests is government and politics—and the importance of Christian influence on both. 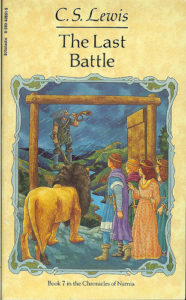 When we get to the Chronicles of Narnia, I give them the final book, The Last Battle. Nearly everyone has already read The Lion, the Witch, and the Wardrobe, so I don’t want to repeat that one. Besides, The Last Battle is quite prescient in its depiction of how false theology can arise, which is something I want students to be aware of. And the wonderful description of entering into the New Narnia, which signals the end of the series, is so marvelous that I want to be sure no student goes away from this course without reading that. 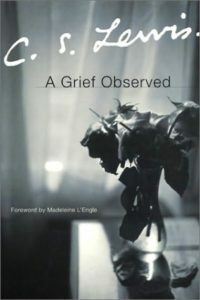 The final Lewis book they read is A Grief Observed, the short volume Lewis wrote anonymously after his wife, Joy, died. This one can generate discussion very easily as we see Lewis’s struggle dealing with the loss of one so dear, yet who came so late to his life. 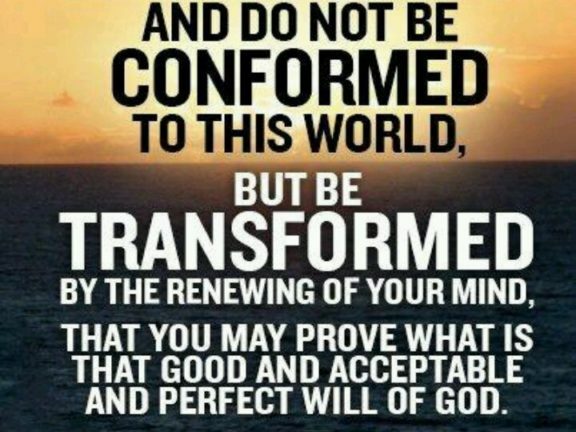 Lewis eventually comes to a resolution over God’s goodness. I also use scenes from the BBC production of Shadowlands to help this particular book come alive more for the students. It’s important for them to reflect on death. After all, most college students think death is a far-off thing when, really, it could come to any of us at any time. 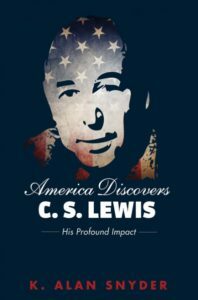 In the final few weeks of the course, I give them my book, America Discovers C. S. Lewis: His Profound Impact, so they can see just how influential he was in America—even more so than in his native Britain. The book delves into his letters to Americans, his views of America, his relationships with some Americans (his wife, Joy Davidman Gresham, for one), and how his writings have continued to be a source of inspiration and teaching for generations following his death in 1963. If all this sounds like an awful lot to give students, I plead guilty. But I am not repentant. I know that providing them with this introduction to Lewis and his influence will guide them into even deeper study, not just of Lewis, but of all the insights his writings have passed on to those who take the time to read and understand what he has to say. Did I mention this is one of my favorite courses to teach? Well, that probably goes without saying.